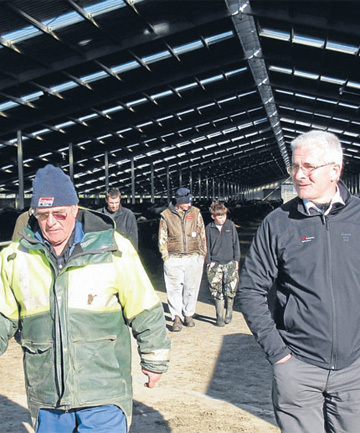 "More dairy farmers are building wintering sheds in Southland. Shawn McAvinue talks to one, who says those building them need to "do it once and do it right". The back rubs end abruptly when the music wanes. Then the stampede begins. Car Wash, the 1970s disco hit by Rose Royce is playing to 750 cows and a party of about 20 curious farmers, who have come to see a new $4 million wintering barn in Dunearn, near Mossburn. The $9000 wireless sound system is struggling to stay tuned to The Breeze radio station and the 24 speakers in the shed begin to crackle. Then the music stops. It's like a gunshot fired in a packed nightclub. The cows get startled then stampede. Then there's a crackle, the radio reception kicks in and Rose Royce returns: "Talkin' about the car wash, yeah". The fickle cows are instantly content and return to chewing on feed or massaging their rumps. About 1600 cows are milked on Philip and Denise van der Bijl's dairy farm. 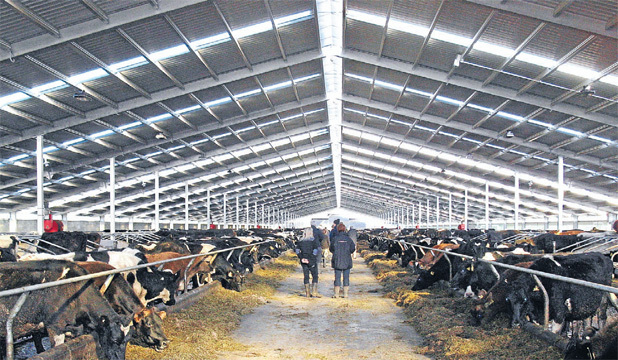 The weather was the reason they invested in the 200-metre by 34-metre wintering shed for 952 cows. The first cow stepped inside the shed in May. When it's full, the rest of the cows stay out on dry land or crop, Mr van der Bijl says." From "pasture" based systems (outside on green grass) to eating a diet of imported "feed", much of it Palm Kernel Extract (PKE) ( "PKE Palm Oil use by NZ Dariy near majority of cows food" ) from the environmentally unsound Palm Oil. Future automation systems will mean far less human workers ("they took our jobs!") as a fleet of million dollar "milking" machines complete the "factory farming"-isation of New Zealands biggest industry, "dairy". 3 News report 21st October 2010 "Robot Milks Cows For All They're Worth", the small town of Winton near Invercargill where I live, some twenty minutes drive away. 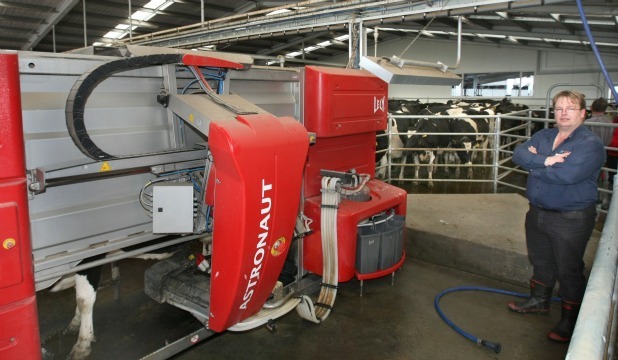 Robot "cow milker" covered in The Southland Times "Farmers Toast Milking Robot Milestone"
As covered on Coexisting With Nonhuman Animals "Episode 37 Hey Hey Hey Hey Nah Nah Nah Nah"
A real nightmare for all concerned, yet its being pitched as "environmentally friendly" and that the cows even PREFER being kept indoors all the time. Its like watching a train wreck in slow motion - this is how "battery cages" and "sow stalls" began, "its got great welfare benefits, and is cost effective!" "The Chicken of Tomorrow", contains scenes of killed birds being compared for "how much better" their corpses are. An article in The Southland Times the very next day shows the lead farmer wearing an Alliance Slaughterhouse hat, linking his "dairy farming" with the slaughterhouses that kill these same animals. You'd think he would have realised the stories published have been about how lovely his $4 million dollar shed is, that uhhhhh, thats kinda mucked up by wearing a slaughterhouse hat, where you send these poor animals to be killed, yeah? This animal abuse needs to stop now!! 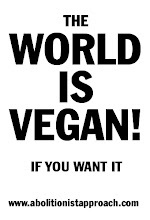 Animals are allowed to live their normal lives just like us humans do!!! stop animals cruelty before its too late !! !